This isn’t a real recipe post. I mean, it is…but it isn’t. I didn’t spend hours thinking of the ingredients and flavor combinations. This recipe idea didn’t smack me in the face while I was drifting off to sleep, and there’s probably a million blogs in Paleo blog land that have featured the same dish. 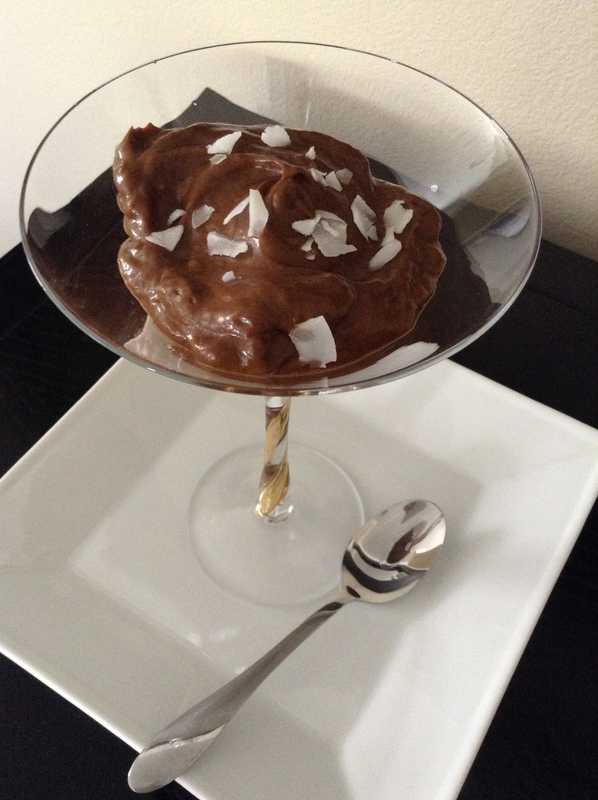 But in case you haven’t heard, dairy free and paleo approved chocolate pudding is entirely possible, and also delicious. It was time for me to give it a shot. It all happened when I was looking to make a quick and satisfying snack before a hike with Cave Dog. By snack, I mean dessert. Let’s just be honest with ourselves, okay? Which is perfectly fine, because this whole situation happened while I was on vacation! So I’m allowed to eat dessert whenever I want. Do you see what just happened? A paragraph rationalizing another dessert recipe. I swear I eat real food, check my Instagram account. I had opened the refrigerator and spied some incredibly ripe bananas. I’m talking completely brown beauties, just hanging out in the corner of the fridge and begging for attention. Brown bananas = perfect natural sweeteners! The sugar content increases as the fruit ripens. Don’t you just love nature? Also hanging out near the ‘naners was half of an avocado. This was the universe telling me that it was time to get on this avocado pudding hype. Fine, I give in! After checking the contents of my pantry and letting the brain whirl for a second, I whipped up…err, blended…this easy pudding recipe. It took me about 3 minutes and 42 seconds to make, from start to finish. So my question is to you, why NOT try it? (1) overly ripe organic banana – the browner, the better! I think it would be fantastic to try a chocolate Paleo protein powder in place of the cocoa powder, or in addition? I’m fresh out of protein powder, so this fun little variation will have to wait. With my first attempt, I did not add the maple syrup and was very satisfied with the rich, dark chocolate flavor. The maple syrup can be added if one desires a sweeter result. 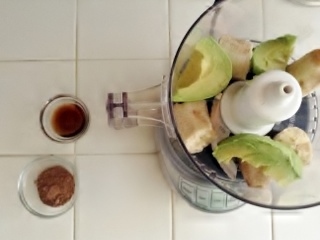 Break the banana into smaller pieces, and spoon out the avocado flesh from the skin. Add these ingredients into the food processor and blend until completely smooth. 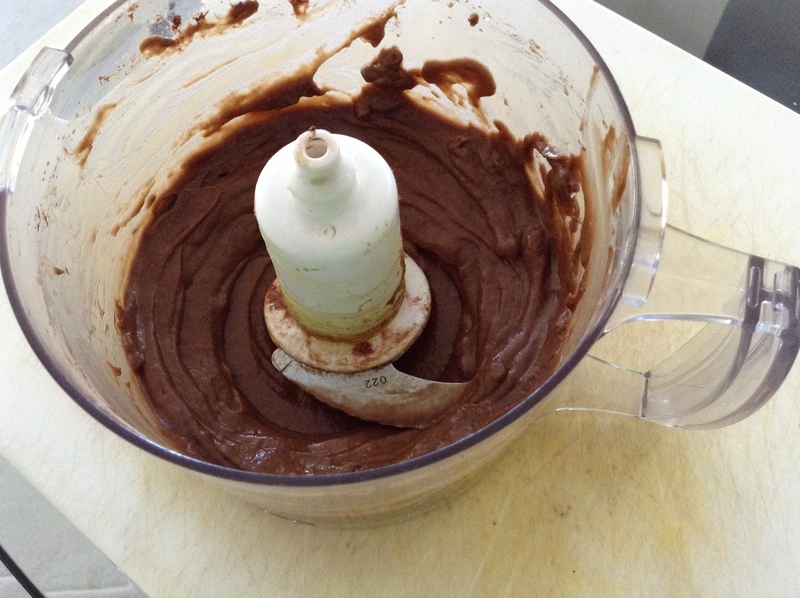 Add the remaining ingredient(s) and blend until the pudding reaches a dark brown color. 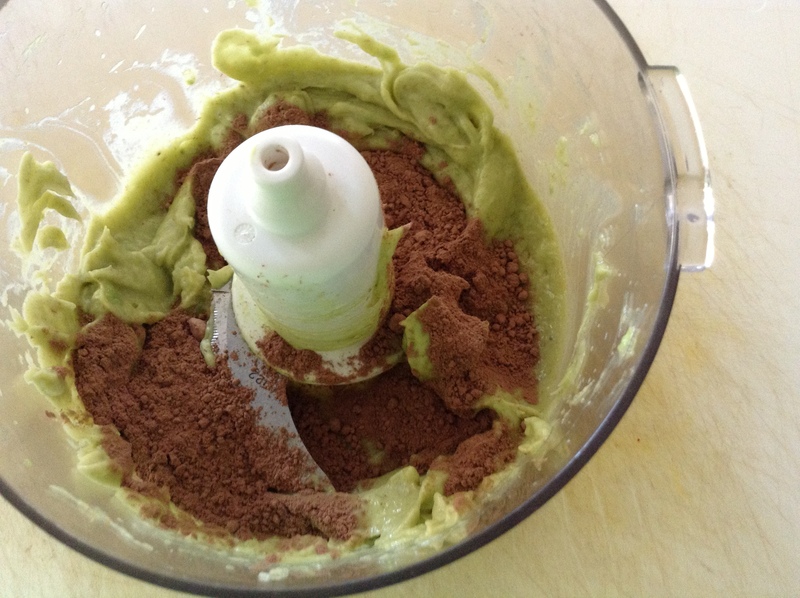 Use the spatula to scrape down the sides of the food processor and continue to blend until smooth again. It’s best to refrigerate this for 20 minutes before serving, but can be served immediately if you’re impatient. Like me. Deliciously fancy, in a ‘I’m not trying’ kind of way. Eat out of a mug on your couch in your pj’s, or break out the special dinnerware and serve to guests – either way, you’re bound to fall in love! Now on other news, I know it’s been over a week since I’ve posted anything new. Oops! I apologize – I definitely want to be consistent in my posts and have a new recipe up every week. To make up for it, I will be posting another recipe by the end of the weekend. If you’ve been following my Instagram account, you might already have an idea of what it is. Super excited about it – I think you might love it. And it’s not dessert! Shocker, I know. So what have I been up to? Well, I took a glorious and much needed week off work this week. I had planned to go out of town, but plans changed and I ended up spending this week locally, hanging out with Cave Dog. Let me tell you, it’s been heaven. Sometimes, the best vacation is the vacation you spend at home, doing the things you’ve been wanting to do for the past [insert applicable time period here] and just relaxing. I had an opportunity to spend time with my family – parents, sisters, nieces and nephew – and that right there pretty much made my whole vacation. We’re all bit crazy, but we have a good time. School started this week as well. YAY. Not much else to add here…trying to keep my cortisol levels down. Ha! Ah, student life. What have you all been up to? I hope you’re enjoying the last few weeks of summer and soaking up the sunshine as much as possible!